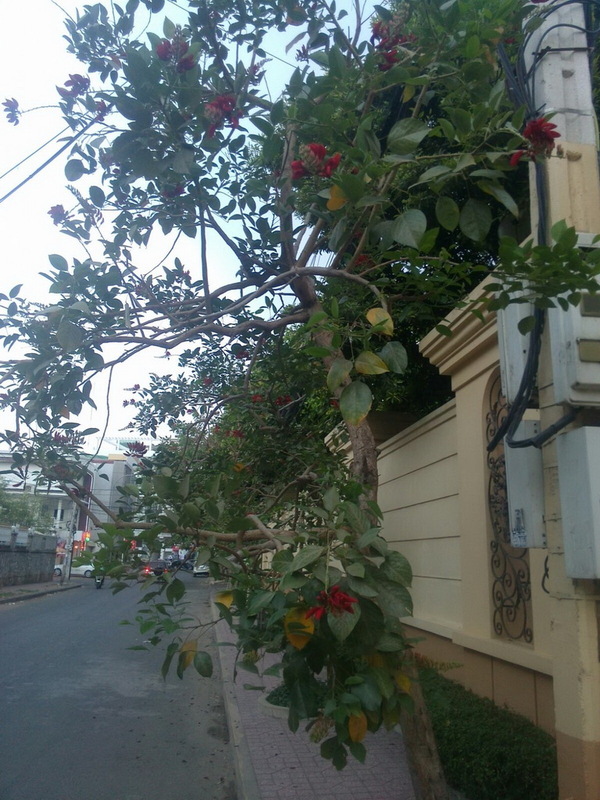 Please, help me to plantID this tree with red flowers. I saw this tree in Cambodia. Never seen it anywhere else. Thank you! Traveler Vice Professor Asked on May 2, 2016 in Trees. 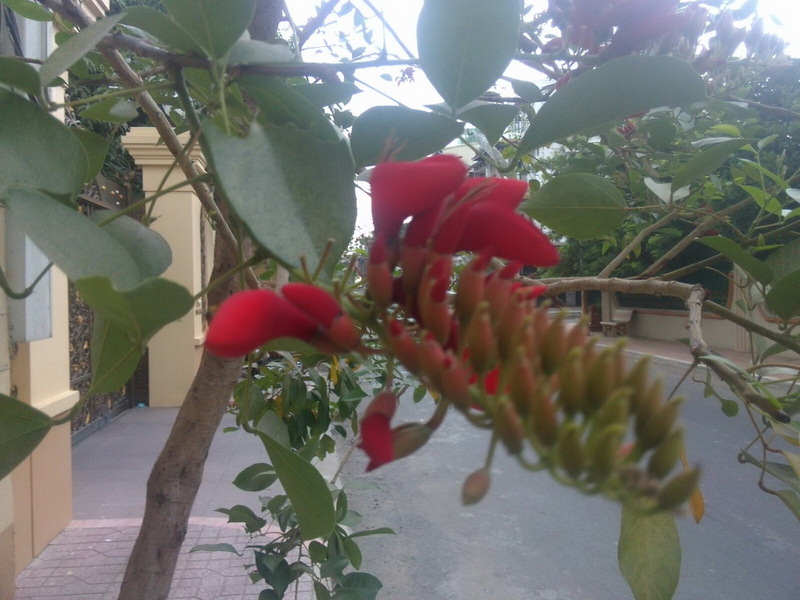 It looks like Erythrina also known as a Coral Tree. It is a genus of flowering plants in the pea family, Fabaceae. Coral Tree grows in tropical and subtropical regions worldwide. The generic name is derived from the Greek word (erythros), which means “red,” referring to the flower color of certain species. The growth of the branches can resemble the shape of sea coral, and this is an alternative source for the name. Commonly seen Spanish names for any local species are bucaré, frejolillo or porotillo. Mullumurikku is a widespread name in Kerala. Some coral trees are used widely in the tropics and subtropics as street and park trees, especially in drier areas. It is useful to know that except for ornamental purposes, growing, selling or possessing Erythrina is prohibited by Louisiana State Act 159 (where the genus is misspelled Erythina). Peter Doctor Answered on May 16, 2016.